If you’re an avid racing fan, you’re probably familiar with Scuderia Cameron Glickenhaus (or SCG for short). They’ve been competing in GT championships for quite some time now, but the lack of any production cars means they’re not that well known it the car world. Well, all of that is about to change thanks to this: the SCG 003S. After winning several races and posting incredible lap times in all of them, they’ve decided to build a road-going version of their race car. The goal, as if you had to ask, is to beat the current Nurburgring lap record for production cars. 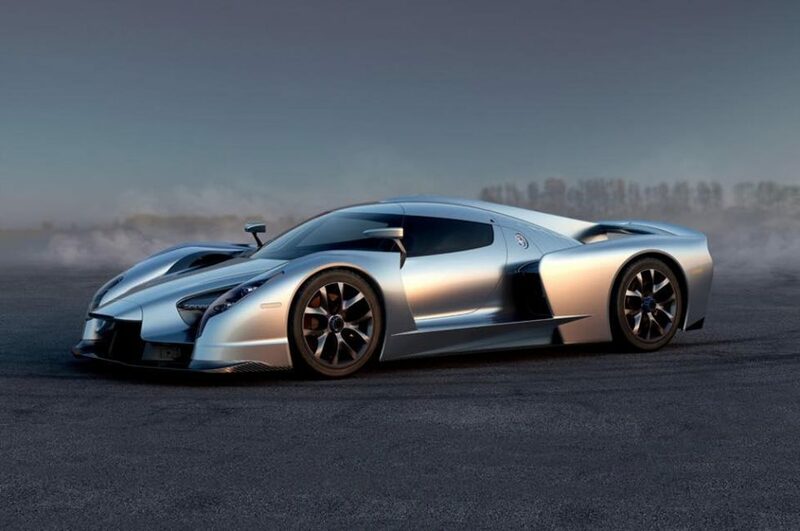 Now, make no mistake, the road-legal SCG 003S is essentially a racing car in guise with headlights and a license plate, but it is legal nonetheless. The racing version dubbed SCG003C recently blitzed the Nurburgring in just 6m 40s, leading the six-hour race from the very start before retiring late on in the race due to a brake failure. Whereas the racing car has to make do with power limitations and weight ballasts, the road car does not. Officially, the production-ready vehicle will have 200 horsepower and 184 lb-ft of torque more than its racing counterpart, in addition to weighing 100 kilograms less. That puts the S at 1300 kg (with fuel) with over 800 horses of twin turbo V8 power providing the thrust; you don’t have to be a scientist to guess that equals lots of speed! Unofficially, SCG could be on the verge of setting an all-time Nurburgring record, let alone the one for production cars. The current record held by Stefan Bellof in a Porsche 956 Le Mans racer set in 1983 stands at 6m 11s. If all goes well, the SCG could potentially dip below the 6m 10s mark. To give you some idea as to just how fast that is, consider the following: a Porsche 918 laps the Nurburgring in 6m 57s, the Huracan Performante does it in 6m 52s, and the quickest of them all, the McLaren P1, does it in an unofficial 6m 47s. The track-only Pagani Zonda R can only manage a 6m 47s lap time, and the SCG003C has already beaten that by a good 7 seconds. We’ll be keeping an eye out for any updates and report them back here. Consider us officially excited though. If it doesn’t manage to beat the all-time record we’ll be really surprised.